One Book, One College is a year-long, interdisciplinary program engaging the ICC community through the reading and discussion of a shared book. Fostering interdisciplinary relationships through a shared reading experience. 2018 marks the bicentennial of Mary Shelley’s seminal novel, Frankenstein, or the Modern Prometheus (1818). 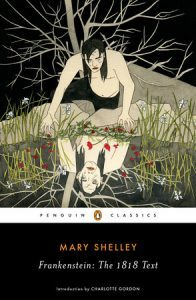 In honor of the bicentennial, Penguin Classics has published the original 1818 text, which preserves the hard-hitting and politically-charged aspects of Shelley’s original writing, as well as her unflinching wit and strong female voice. – from Penguin Classics. Frankenstein: or, the Modern Prometheus (1818), is a combination of Gothic horror story and science fiction. The book tells the story of Victor Frankenstein, a Swiss student of natural science who creates an artificial man from pieces of corpses and brings his creature to life. Though it initially seeks affection, the monster inspires loathing in everyone who meets it. Lonely and miserable, the monster turns upon its creator, who eventually loses his life. — from Encyclopedia Britannica. Mary Wollstonecraft Shelley, née Mary Wollstonecraft Godwin, (born Aug. 30, 1797, London, Eng.—died Feb. 1, 1851, London), English Romantic novelist is best known as the author of Frankenstein. Mary Wollstonecraft Shelley (1797-1851) is best known for her novel Frankenstein; or, The Modern Prometheus (1818), which has transcended the Gothic and horror genres and is now recognized as a work of philosophical and psychological resonance. In addition to Frankenstein, Shelley’s literary works include several novels that were mildly successful in their time but are little known today and an edition of poetry by her husband, the Romantic poet Percy Bysshe Shelley, which she issued with notes that are now regarded as indispensable. Her reputation rests, however, on what she once called her “hideous progeny,” Frankenstein. 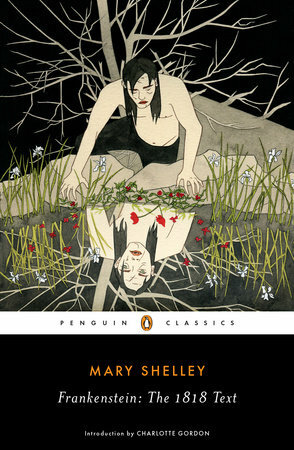 Read more about Mary Shelley at Biography in Context. View the ICC Library’s LibGuide to learn more about Frankenstein: the 1818 Text. Have a presentation idea? Tell us about it! Watch recordings of One Book, One College Community Leader, and Faculty presentations. Selections for One Book, One College are made by a team of librarians and faculty from several departments at ICC. If you have a suggestion for next year’s read, please contact Amy Glass by email or call (309) 694-5748 or complete this online form. Contact Amy Glass by email or call (309) 694-5748 for more information.